Booknotes: Ruth Ozeki's A Tale for the Time Being. 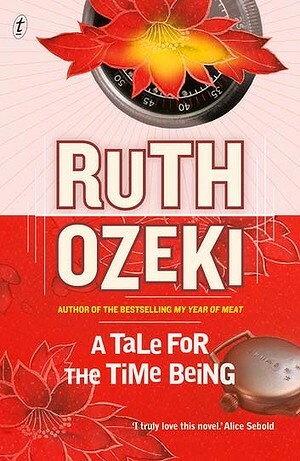 Ruth Ozeki's A Tale for the Time Being. This is a highly imaginative story of a young teenager, Nao, caught between the two worlds of Japan and California, as she struggles to find meaning in her unhappy life. Her discovery of her 104 year old great-grandmother, a zen monk; her fraught relationship with her depressed, suicidal, father; and, most particularly, her shocking experience of extreme bullying at school - are all described in vivid detail in her diary that seems to have floated across the sea after the tsunami of 2011 to Canada on the other side of the Pacific ocean. It is found by Ruth, the author, whose reading of it, and some heartrending letters contained in the same package from the monk's WWII soldier son, affects her profoundly. Did Nao and her father die in the tsunami? This in unanswered, which is disappointing, especially as Ruth finds out independently that Nao graduated from her Tokyo high school and attended Montreal University. Why didn't Ruth follow that up? Perhaps she's still there. Instead she retreats into recounting a rather fantastical dream, where she meets the father and helps him chose 'life' rather than death. Is it a dream, we are asked to believe, or a parallel world of 'reality'? So in the end we get frankly ridiculous. It descends into 'Deus ex Machina' territory by inviting us to believe her husband's suggestion that quantum mechanics, with its abstruse theories of 'multiple realities', offers the answer! A real emotional let down. This is emblematic of the one big structural flaw that lets the novel down in the end - the intrusion of the real life of the author, her husband and her Canadian township into the fictional narrative. This limits Ozeki's imagination as a novelist and reduces the book's power immeasurably. A real pity.